A unique look for today’s more contemporary-styled homes. Crisp lines and sleek design formed from durable corrosion-resistant aluminum frames and light-filtering or reflecting glass make a striking complement to your home. With so many options available, we realize it can be confusing and often overwhelming to select the right door for your application needs. A good place to start is with our framed 511 or 521 models. Or with our new "frameless" Envy collection. Yes, it is called envy take a look and see if you agree. 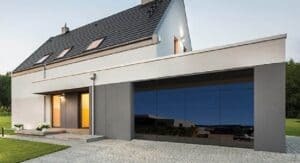 Both styles provide contemporary envy-producing elegance with sleek lines while delivering with options for various degrees of light infiltration into your garage space. Save time and let us do the work for you by giving us a call at (651) 683-0307. 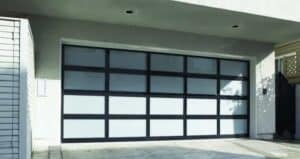 With a few simple questions, one of our experienced Overhead Door Sales Specialists will be able to pick the aluminum door that best fits your home. On the other hand, if you know exactly what you are looking for in aluminum door, you can review specific door specifications at Overhead Door's Company website.